Quick – cover your ears! There’s yet another back to school commercial on TV. tear No doubt,the return to school/work/the grind can easily get you down. If you’re starting to feel the end of summer blues hit you, there’s still hope. Rather than focusing on the summer that is no more, how about planning something you can look forward to in a few months? Get your mind right and start thinking about an epic holiday, whether it’s a ski trip to Sun Peaks or a Caribbean beach vacay. First things first, you need to create a vision board (VB) to inspire you to save some $$ for your holiday. A VB is a visual representation of something you want to work towards. It doesn’t have to be fancy: a quick n’ dirty poster board collage or a couple images ripped from a travel mag is fine. Whether you tape it to your bathroom mirror, hang it on your fridge or put it in your cubicle at work, make sure your VB is located where you’ll look at it often. Every time you see it, you’ll be inspired and reminded to stay focused on your goal: saving up for your winter holiday. Once you’ve got the VB in place and your mind is focused on saving, check out these super easy – and extremely effective – tips that will help you fill your piggy bank even faster! You’ve heard it before but it’s true: packing a lunch every day instead of grabbing takeout is one of the best ways to save money. Worry not…a bag lunch doesn’t have to be boring. Jump on the mason jar salad bandwagon, where you layer all the ingredients in a handy dandy jar and you’re good to go. 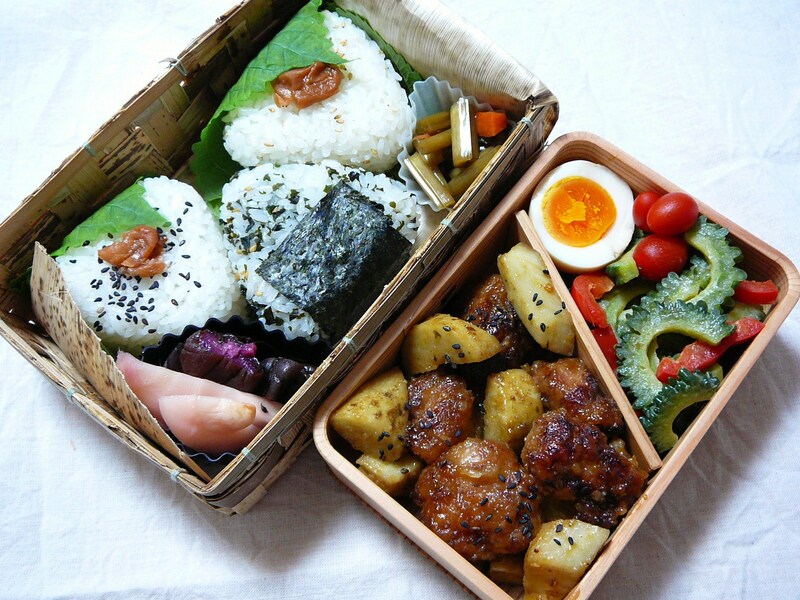 Or try a bento box for something different. Throw in a few different nibbles to cover your fruits, veggies, protein and grains, and voila! You’ve got a lunch that you’ll definitely want to eat. Go through your closets and clean out your storage, then make some extra dough on the stuff you don’t want. Of course there’s Craigslist, eBay and consignment stores, but you can also sell vintage clothes and decor items on Etsy for a pretty penny. Amazon Marketplace is perfect to get rid of electronics, household items and any random ish you have lying around. And for your wardrobe liquidation, Mine and Yours (Vancouver locals), Threadflip, and Thredup are three killer clothing resale sites where you can make your money back easy-peasy. By using cash or your Mogo Prepaid Visa Card for purchases, you won’t waste money paying interest on your credit card balance. If you are the type of person that only makes the minimum payment on your credit card statement as a lot of us do, you will continue to pay interest until the balance is paid off which sometimes can take years. Save yourself a lot of money in unwanted credit card interest (average is around 19%) by using cash or your Mogo Prepaid Visa Card for purchases. And if you’re in a pinch, you can tap into the Mogo Mini Money line of credit, then pay it back within two weeks so you don’t carry an ongoing balance. Yes, you’ve probably heard these tips before. But there’s a reason why – they really do work. Try them out this fall to help you get a fresh start financially, and you’ll be on your way to a winter vacation in no time!